Maharaja Palace is one of those long standing indian restaurants that have been consistently serving good food. The interior is designed quite simply, while also incorporating Indian elements by way of ornaments and furniture placed around the space. Seating is plentiful, yet cosy. Maharaja Palace has always had quite an extensive menu of North Indian goodies, and picking stuff out of the list is always a challenge. 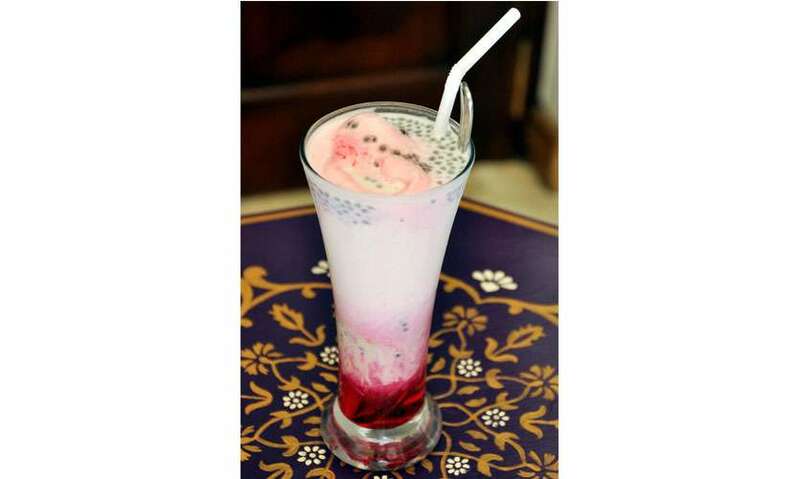 So we decided to start with a crowd favourite drink - Falooda (not the smartest decision, we’d soon learn). A generous serving in a tall glass, the falooda was just the right amount of sweetness and comprised the typical falooda staples - sweet basil seeds, vermicelli, shaved pistachios and a scoop of vanilla ice cream. No matter the weather, there’s never a wrong time to have a falooda, and the one at Maharaja Palace was definitely one of the good ones! 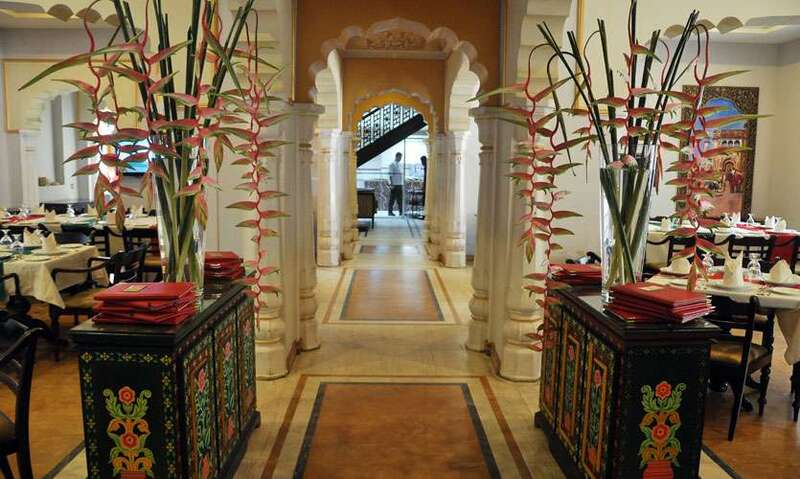 Diners at Maharaja Palace also get complimentary papadam with three varieties of chutney and onion rings. 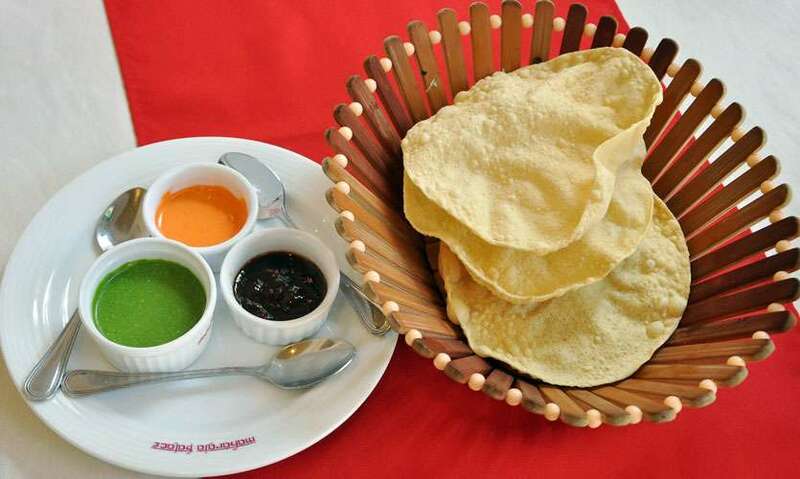 We recommend trying the green chilli chutney, which was simply fantastic with the papadam. But also do try the other two as they each have their own distinct flavours. Also joining us for lunch was Executive Chef Abubakar, who’s been at the helm of Maharaja Palace since it opened 7 years ago. 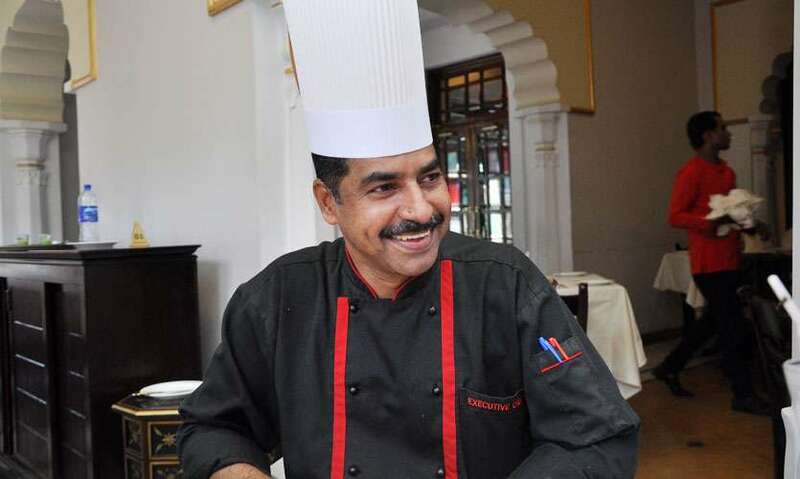 Chef Abu, as he is fondly known, shared that he was just 21 years old when he started his culinary journey at the Iconic Delhi Darbar restaurant in Mumbai, at the insistence of a friend who potential in him. He then moved on to the Intercontinental chain where we worked for 20 years before taking on the mantle as Executive Chef at the Maharaja Palace in Sri Lanka. 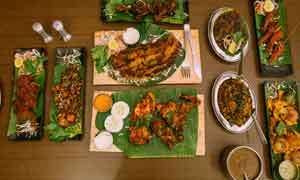 The food he makes here, he explained was Mughlai Cuisine which was developed during the Mughal Empire. 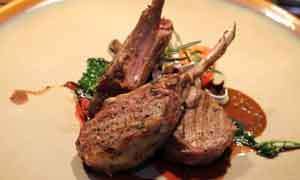 As such, the cuisine draws inspiration from the central Asian region. Chef Abu also shared that the food at Maharaja Palace has largely been consistent because they ensure that the main spices are all imported from India. 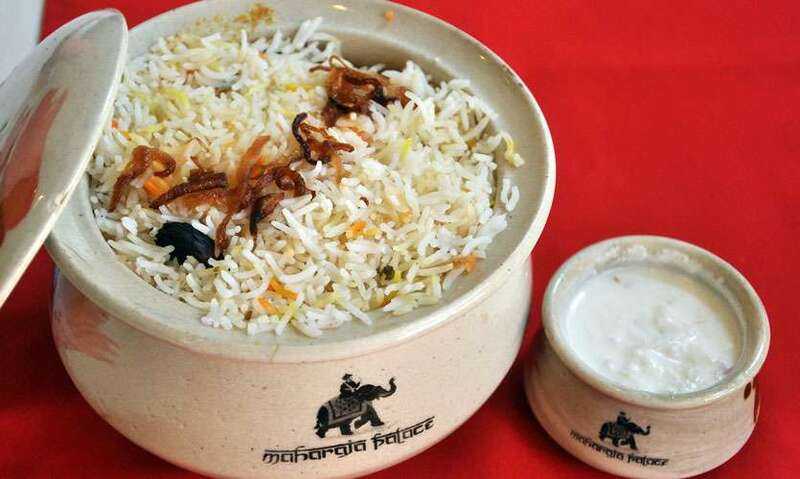 Based on his recommendation, we picked Maharaja Fish Dum Biriyani (Rs. 1200), Butter Naan (Rs. 250), Chicken Tikka (Rs. 850) and Dal Gosht (Rs. 1250) for our main meal. The Maharaja Fish Dum Biriyani comprised chunks of modha fish fillet cooked with aromatic spices, layered with saffron infused long grain basmati rice, cooked on a low heat, dum style. The aroma of the rice permeated the immediate space as soon as it was placed on our table, signalling good things to come. We certainly were won over after the first tasting - the rice was perfectly fluffy and surprisingly, wasn’t oily as we’ve come to expect from biriyanis, which was great. Full of flavour, we would happily recommend the Fish biriyani, more so because we’re not ones to pick the typical chicken or mutton biriyani out of habit. Served alongside the biriyani is the raita, which makes for a great accompaniment. The Butter Naan too we loved - buttery with that slight crisp that makes a butter naan so great, we were only stopped from going back for more because we were already a tad too stuffed (thanks to gulping down the falooda in its entirety before the food arrived!). 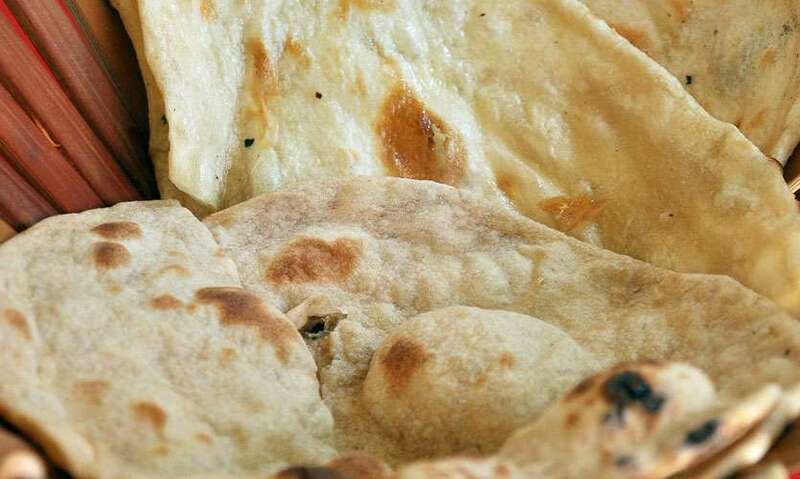 The naan we paired with the Dal Gosht, which was a Parsi specialty made of tender cubes of boneless mutton cooked with chef’s specially blended spices and yellow lentils. Typically, this is not a dish we would have tried, but are we glad we did. The mutton was cooked perfectly and wasn’t chewy, the dal adding an interesting dimension to the dish. 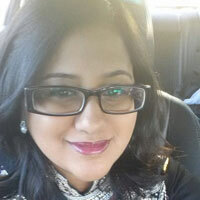 Another crowd favourite, the Chicken Tikka, was definitely on our radar. So we were glad when Chef Abu recommended we try it. 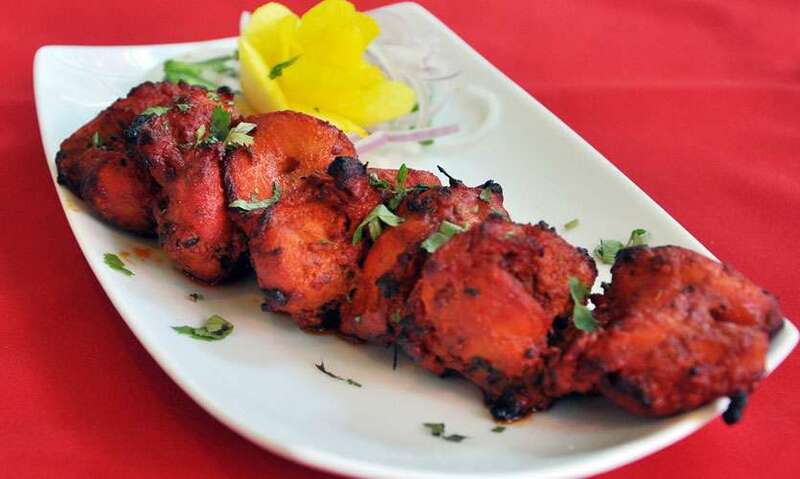 Chicken Tikka comprises boneless chicken cubes marinated in a blend of yoghurt and tandoori spices, which is subsequently skewered and chargrilled. The chicken was juicy and flavourful, the char from the grill only adding to it. 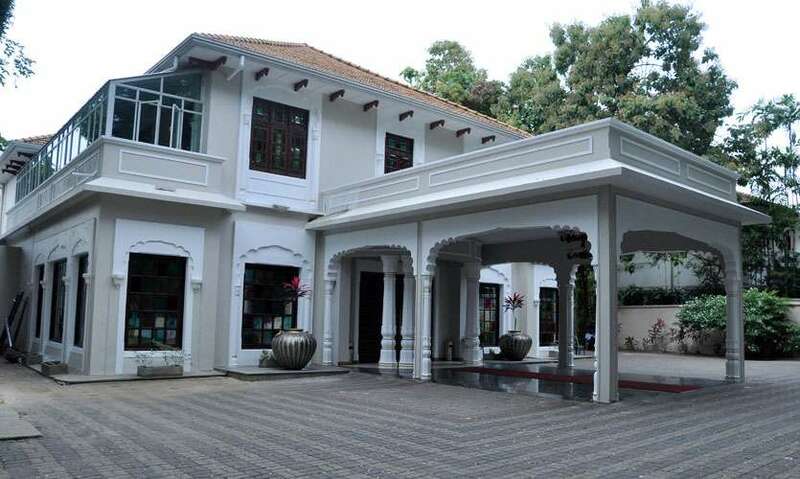 The Maharaja Palace has served pretty good food on consecutive visits, and this consistency makes it one of the top spots for quality Indian food. Portion sizes were quite generous, and the food was incredibly flavourful. Service was also good as the waiters were quite helpful and were around whenever we needed them. Would we go again? To relive this experience, yes! Note by the author: They usually have card offers, so do make it a point to ask. 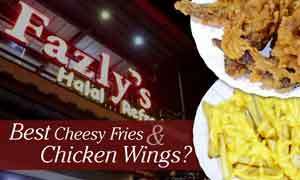 The food is also certified halal. All prices subject to service charge and government taxes.